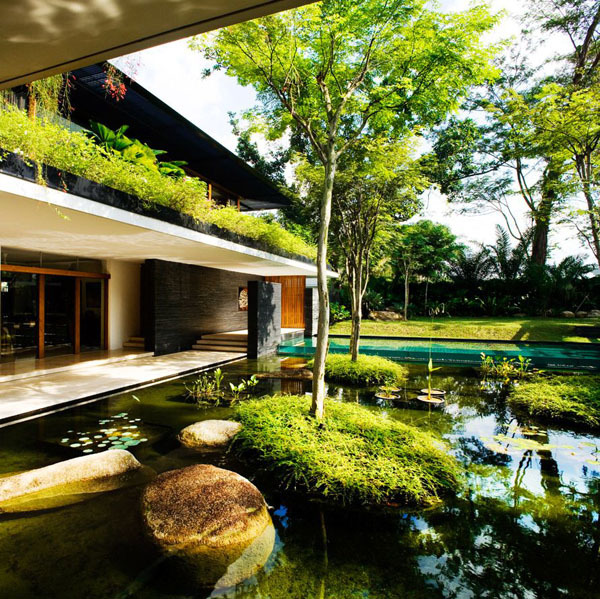 Here’s another breathtaking exotic creation by Guz Architects, renowned for their fantastic and contemporary sustainable oasis homes. 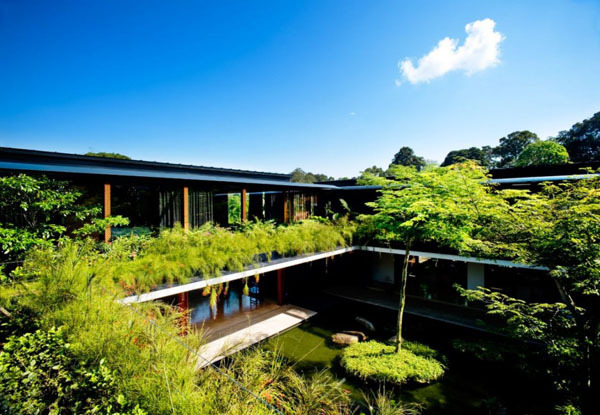 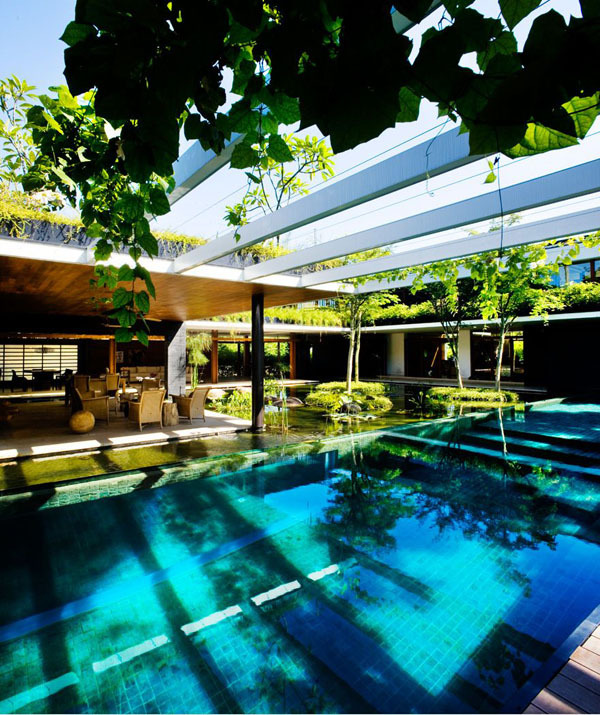 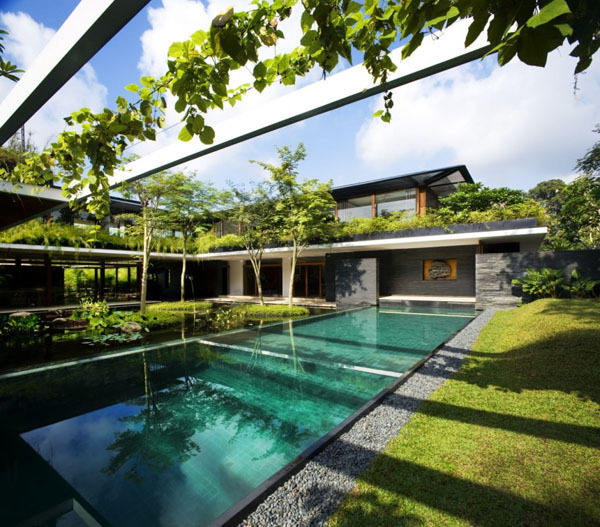 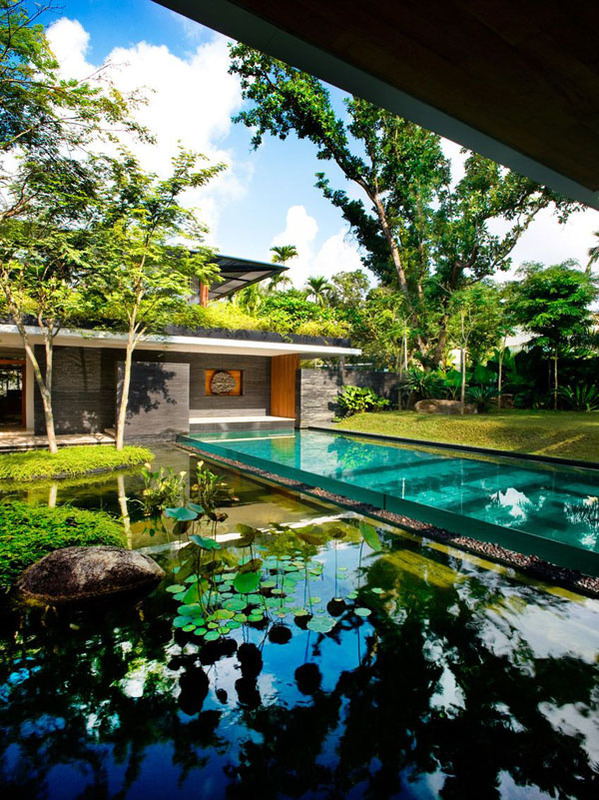 The layout of the Cluny residence is characterized by vast semi-open ground floor spaces laid around an exotic water court, with the more private areas disposed on the first floor, endowed with irrigation and lush roof gardens. 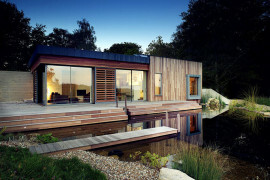 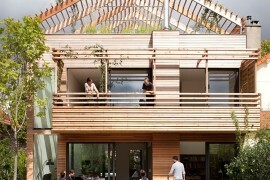 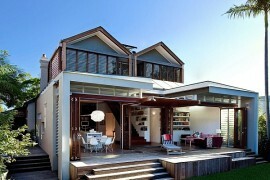 The sensitive house technique uses photovoltaic cells and solar water heaters for passive cooling and cross-ventilatilation, along with opulent green that recycles rainwater. 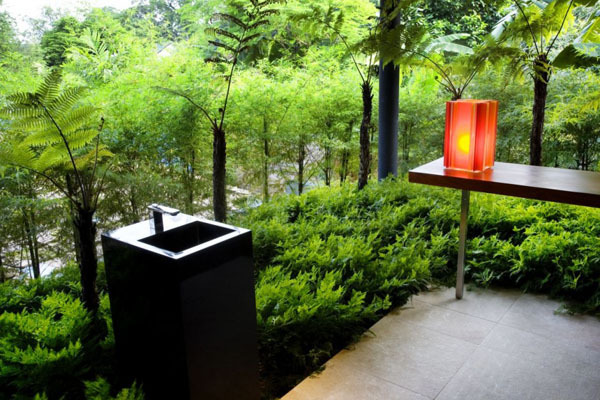 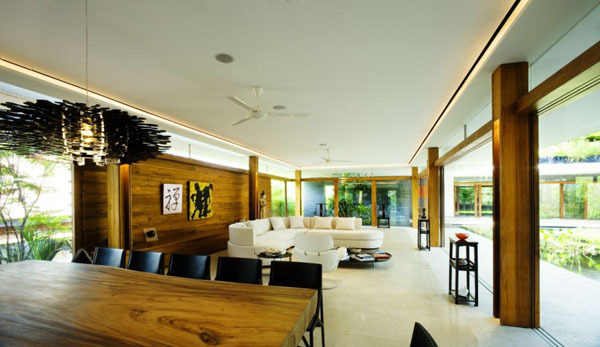 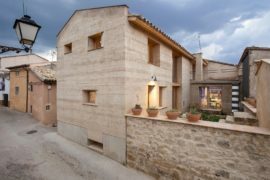 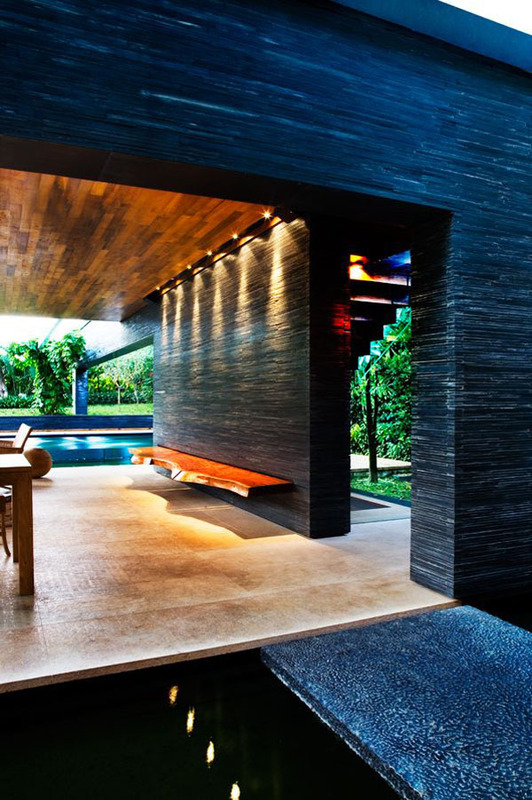 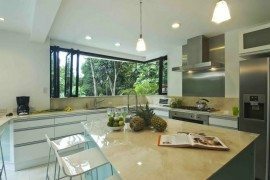 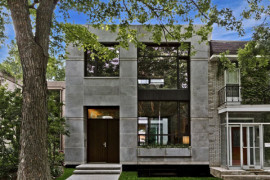 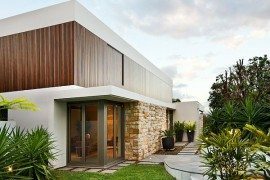 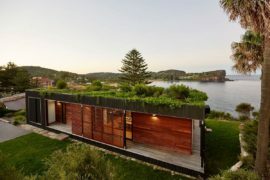 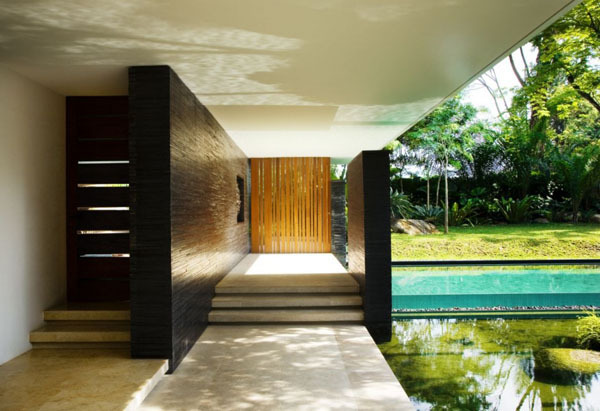 The construction materials are as nature-friendly, from repurposed dark teak to artificial blonde timber adding to the warm and exotic appearance of the home, along with dark strip stone. 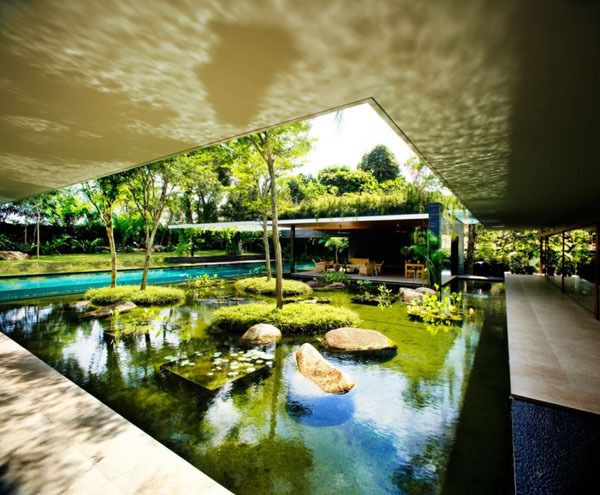 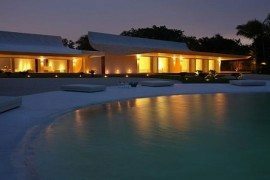 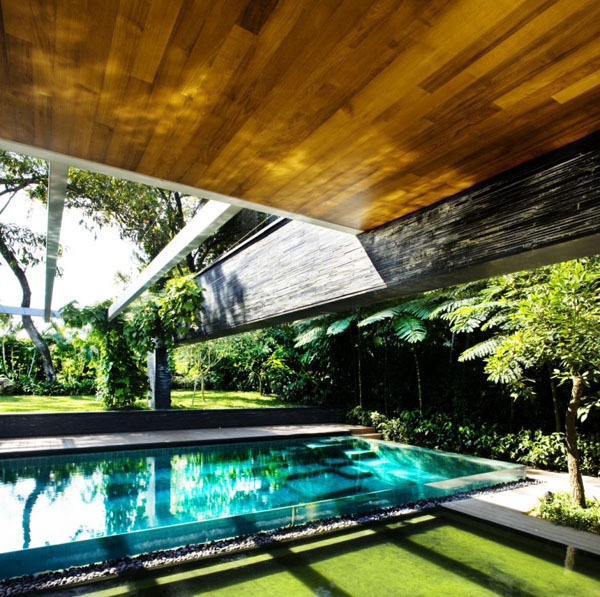 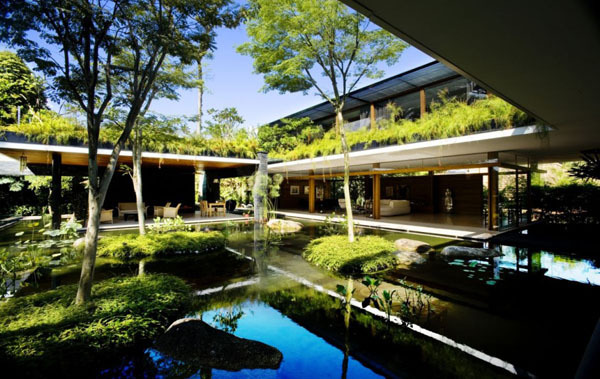 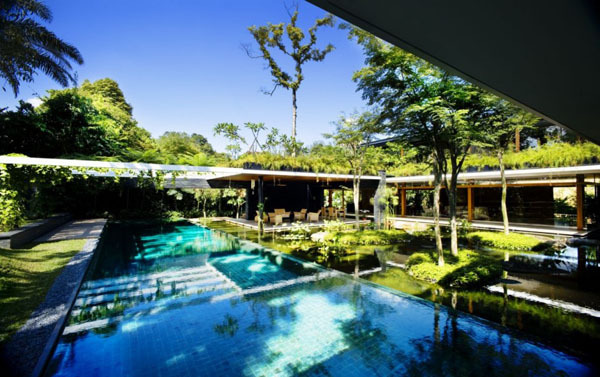 The hit is certainly the vast pool AND landscaped water court, with small green islands and trees, surrounded by outdoor living rooms converting living in this sustainable home into a spa experience.